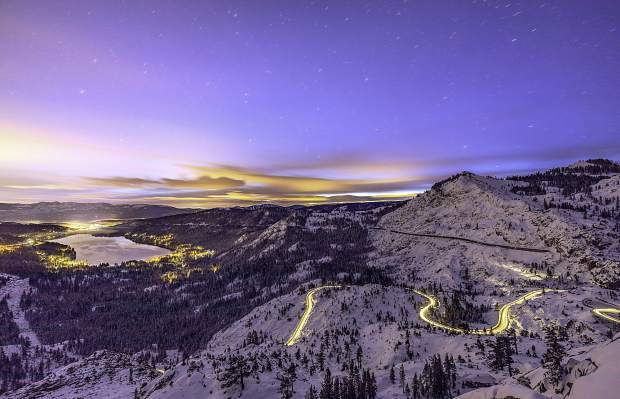 Amazing View: Donner Lake shimmers amid the night sky in late December. 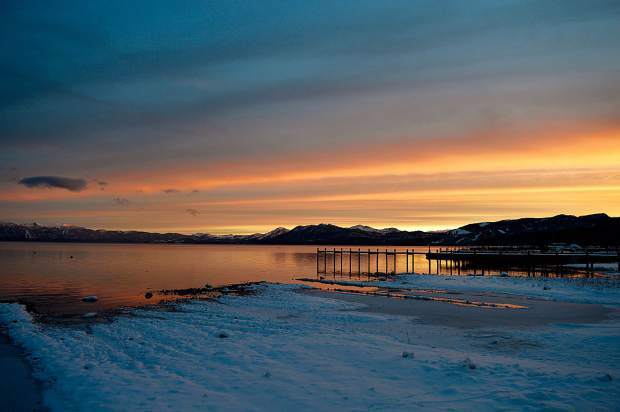 Picture Perfect: The sky burns orange over a snowy Lake Tahoe as seen in late December in Tahoe City. 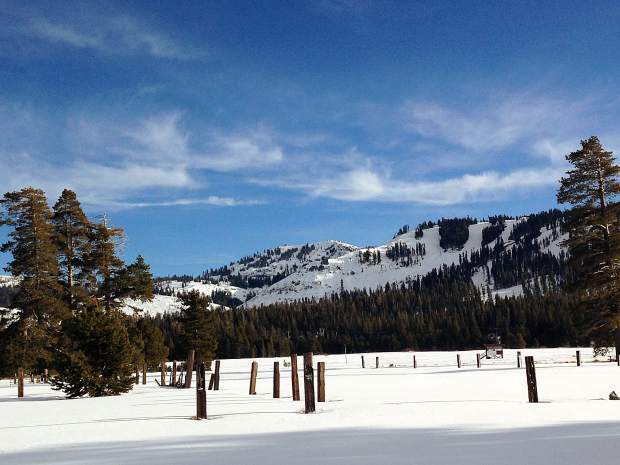 Tiptoe Truckee: Standing on the edge of winter on Dec. 24 at Donner Lake. 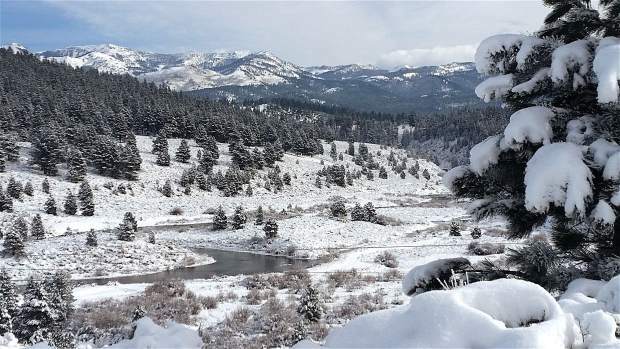 Bluebird Skies: Van Norden Meadow is covered in snow in late December. Wintry Wonder: A snowy look at the Prosser Lake area, facing Mt. Rose, on Christmas Day. 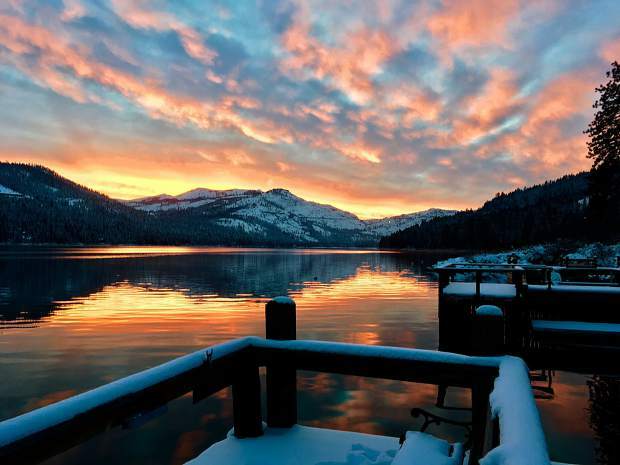 Scintillating Sunset: The sun sets on Christmas Day on Donner Lake. Surfâs Up: A hearty kite surfer braves a blustery, raw wind at Incline Beach in mid-December.